Douglass USD 296, located in Douglass Kansas, is in the process of introducing AAWeb, a premier financial solution from Harris School Financial Solutions, to their school district. Featuring a user-friendly interface, this web-based solution delivers district-wide reporting, accommodates multiple locations within a single district and protects information through secure online access. We are pleased to welcome Douglass to the Harris family and know that AAWeb will be a great enhancement for the district. 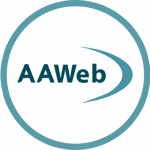 AAWeb is the School Financial Solution for Sterling Public Schools!